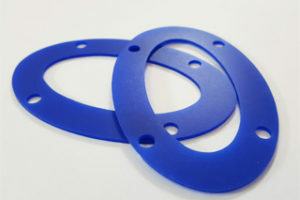 Butser Rubber is an industry leading manufacturer and supplier of bespoke Water Jet Cut Gaskets. With over 40 years’ experience manufacturing bespoke Water Jet Cut Gaskets our reputation has been developed by working alongside customers to build in cost-reduction into the design of products. Our state-of-the-art Gasket manufacturing facilities enable us to meet the most demanding applications in industries including Automotive, Aerospace and Defence. Butser Rubber work hard to meet the technical requirements of our customers Gasket products as well as providing short lead times and excellent customer service. Butser Rubber can meet recognised quality and inspection standards to meet customer requirements. We can provide PPAP Level 3 documentation to support our water jet cut gaskets products, First Article Inspection Reports to AS9102 and Certificate of Conformity paperwork with full lot tracebility back to suppliers batch. Please Contact Our Team for more information. We understand our customers demand the highest of quality when it comes to gaskets. 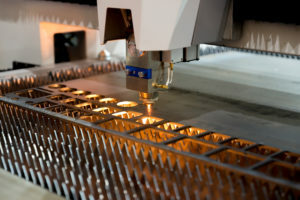 We use our water jet professionals to perform a variety of 2D highly complex precision gasket cutting operations. 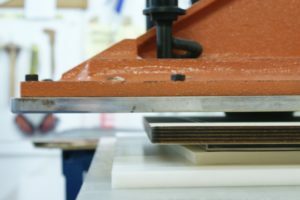 The machinery allows us to cut through material up to 250mm thick with minimal exceptions. Please contact our team for additional information about our water jet cutting facilities. Butser Rubber have a recognised 40 year history of manufacturing bespoke rubber gaskets for a variety of customers including demanding industries such as Aerospace, Formula 1, Automotive and Medical. 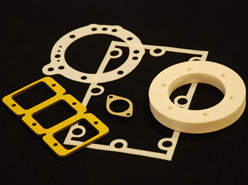 We are able to supply custom water jet cut gaskets in mass production as well as one-off prototypes. We can also arrange Kanban production schedules with daily, weekly and monthly production call off’s. 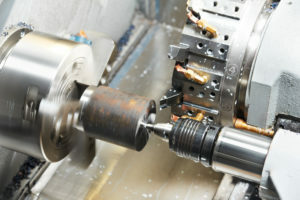 We use unique ‘nesting’ software when operating the water jet cutting machinery which organises the 2D profiles into the most efficient orientation and position to reduce material wastage. This allows us to pass the cost saving directly onto our customers as part of our built in cost saving process. In addition, the fine edges produced by water jet cutting requires minimal post processing enabling further cost reduction. 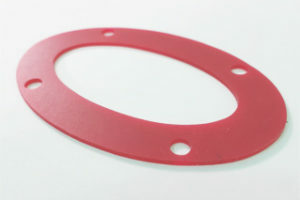 In order to offer our customers maximum flexibility when designing and manufacturing a water jet cut rubber gasket, we can offer over 350 different rubber and silicone materials including materials with specialist high temperature and fluid resistant materials. All of our compounds can be manufactured to meet industry standards including Automotive, Aerospace and WRAS specification.